As the law currently stands, companies including social media websites have the right to keep your personal data and any content which you upload to their sites, generally for as long as they wish. You can ask for the data or content to be removed or deleted but that does not always happen. This will all change however in May 2018 with the introduction of the General Data Protection Regulations (GDPR). Under the GDPR, you will be able to ask for your information including personal data and content to be deleted under a new online ‘right to be forgotten’. The aim of the regulations is to allow people greater control over how companies use and retain their personal information. The changes are good news for people who have posted things which they would rather were forgotten online. A new study shows that 70% of employers search job candidates online and a further 51% of employees continue to monitor their employee’s activities on social media. Companies can now be fined up to £17 million by the Information Commissioners Office if they breach the GDPR. Considering the strict fines for companies who breach the rules or ignore erasure requests, companies will have no choice but to take erasure requests seriously and deal with them in a timely manner. 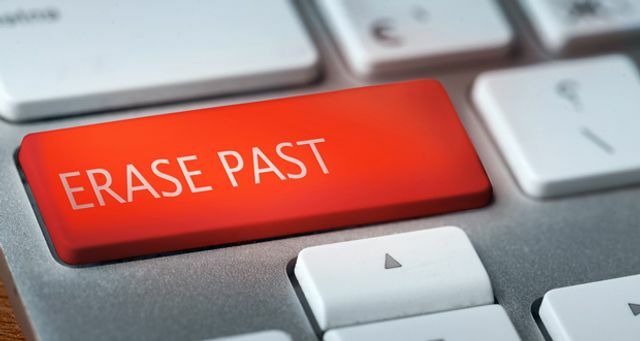 The ability to erase information about yourself has never been so important and the ability to request that any company permanently erase information which they hold about you, will come as a welcome relief to many. Britons could obtain more control over what happens to personal information under proposals outlined by the government. Citizens will be able to ask for personal data, or information posted when they were children, to be deleted. The proposals are part of an overhaul of UK data protection laws drafted under Digital Minister, Matt Hancock. Firms that flout the law will face bigger fines, levied by the UK's data protection watchdog.